Prices in this catalog are current as of the time of printing and are therefore subject to change without notice. We reserve the right to correct any errors in this catalog. ALL SALES ARE SUBJECT TO AND EXPRESSLY CONDITIONED UPON THE TERMS AND CONDITIONS CONTAINED HEREIN, AND UPON CUSTOMER'S ASSENT THERETO. ANY ADDITIONAL AND/OR INCONSISTENT TERMS AND CONDITIONS SET FORTH IN ANY ACKNOWLEDGMENT, PURCHASE ORDER, OR ACCEPTANCE DOCUMENTS REQUESTED FROM AND/OR PROVIDED BY CUSTOMER ARE EXPRESSLY REJECTED Variations of THESE TERMS AND CONDITIONS WILL not BE BINDING UPON General Lab & Cleanroom Supply UNLESS AGREED TO IN WRITING AND SIGNED BY AN OFFICER OR OTHER AUTHORIZED REPRESENTATIVE OF General Lab & Cleanroom Supply. Orders under $100.00 may be subject to a minimum order charge in addition to processing and handling charges. Special packaging and handling materials including surcharges and hazardous materials fees will be added to the invoice. Prices are quoted excluding shipping, handling, and taxes. Specifications - Product specifications are subject to change without prior notice. Limited warranty: Manufacturer’s warranty shall apply in all cases. We make no warranty and shall have no obligation except as stated in Return Goods Policy. In no event will warranty cover damage caused by or resulting from accident, misuse, neglect, or any unauthorized installation, alterations,, or repairs to the products. Our sole responsibility and the purchaser’s exclusive remedy for any claim arising out of the purchase of any product in this catalog is repair, replacement,, or credit, where applicable. In no event: (1) shall the cost of the exclusive remedy exceed the purchase price; (2) shall we be liable for any special, indirect, incidental, consequential, or exemplary damages, howsoever arising, even if we have been advised of the possibility of such damages. We make no warranty, express or implied, that the products are merchantable, fit for a particular purpose, or that the products will conform to the illustrations and descriptions. No warranty or affirmation of fact, express or implied, other than as set forth in the limited warranty statement above is made or authorized. A defective or non-conforming Product is defined only as a Product which is outside of the manufacturer's defined Product specifications. Payment Terms: On approved credit, we will extend NET 30 Days from the invoice date. Delinquent accounts will be subject to a service charge on past due amounts of one and one-half (1-1/2%) per month (or, if less, the maximum amount permitted by law). A charge of up to 3.5% may be levied for credit card payments used to pay for past due accounts. Quotations: Special pricing for large quantity purchases is available upon request. Special item orders, custom items, and non-stock items cannot be returned. Special orders may incur incremental charges for setup, special processing, or other unique circumstances that necessitate prepayment or advance payment in part or in whole. Delivery - Delivery of all orders will be FCA (INCOTERMS 2000) and title of all Products shall transfer to Customer upon General Lab & Cleanroom Supply delivery of such Products to the carrier. Shipping and handling fees, special packaging materials (e.g., blue ice), carrier surcharges (including fuel surcharges) and hazardous material fees imposed by government regulation will be added separately to the invoice. *Return items must be returned in original packaging. Do not deface packaging with markings or other that render the product non saleable without repacking. All items including chemicals must comply according to proper DOT regulations. Credit will be issued upon return inspection. Partial credit or restocking fees may apply. Products purchased or received under this Agreement are subject to export control laws, restrictions, regulations and orders of the United States. Customer agrees to comply with all applicable export laws. Customer represents and warrants that it is not on the Denied Persons, Specially Designated Nationals or Debarred Persons List and is not otherwise prohibited by law from purchasing the Products or services hereunder. Customer shall be responsible to obtain any license to export, re-export or import as may be required. Force Majeure - In the event either party is prevented in whole or in material part from performing its obligations under this Agreement solely as a result of force majeure, upon the prompt giving of notice to the other party detailing such force majeure event and its anticipated duration, the obligations of the party so prevented shall be excused during such period of delay, and such party shall take whatever reasonable steps are necessary to relieve the effect of such cause as rapidly as possible. Possible remedies may include substitute products, limited product availability, and/or price variations to satisfy requirements. Applicable Law - This Agreement is made pursuant to, and shall be construed and enforced exclusively in accordance with, the internal laws of the state of California (and United States federal law, to the extent applicable. 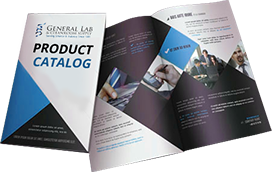 General Lab & Cleanroom Supply is a member of the Allied Laboratory Dealer Network . All rights reserved. ALADN, The ALADN Group, and the ALADN logo are trademarks of the Allied Laboratory Dealer Network. All other trademarks contained herein are the property of their respective owners.